Solan: Union Minister of State for Petroleum and Natural Gas Dharmendra Pradhan today launched the Pradhan Mantri Ujjwala Yojana (PMUY), a flagship scheme of the Union Ministry of Petroleum and Natural Gas, for the Below Poverty Line (BPL) families of the State. Union Minister Dharmendra Pradhan said that under the scheme, the government aims to provide LPG connections to BPL households in the country. The scheme was aimed at providing five crore LPG connections in the name of women in BPL households across the country. The government has set a target of five crore LPG connections to be distributed to the BPL households across the country under the scheme. The eligible women candidates from BPL families can apply for the scheme. He said that as of date, 2.25 crore new beneficiaries had been added to the scheme in the first year of its commissioning in the country. 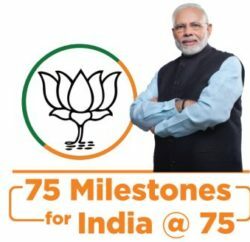 He said that in Himachal Pradesh, out of 16 lakh houses, 14 lakh houses had LPG connectivity that amounts to 80 to 90 percent connectivity. The Union Minister said that there were 172 Distribution Centre for LPG in Himachal Pradesh and announced to open 50 more distribution centres in next few months. 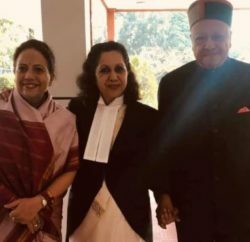 He said that in coming times, entire Himachal Pradesh would be free of fossil fuel and carbon emissions and the union government take responsibility to make Himachal smoke-free. He said that the connections under the scheme would be given in the name of women head of the households. 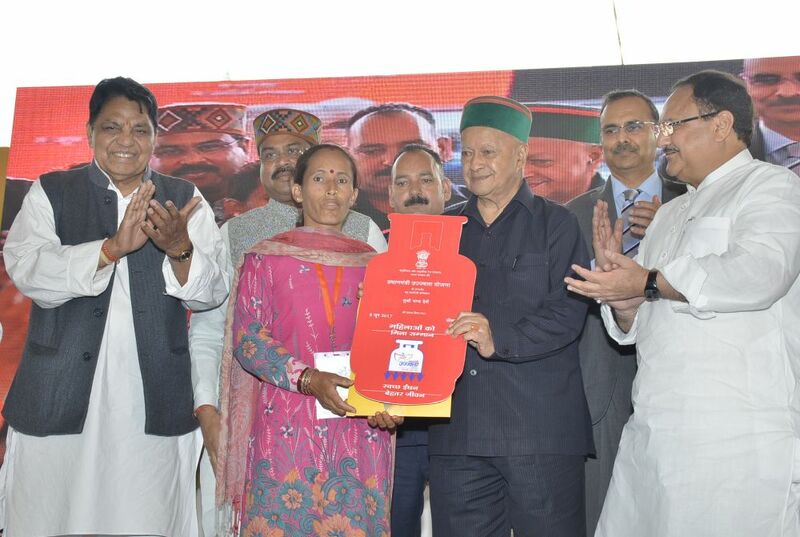 Himachal Chief Minister Virbhadra Singh termed Pradhan Mantri Ujjwala Yojana an ambitious scheme to benefit the BPL families. The Chief Minister said that using of Liquid Petroleum Gas (LPG) will reduce serious health hazards associated with cooking based on fossil fuel, reducing the number of deaths due to unclean cooking fuel and preventing young children from significant number of acute respiratory illnesses caused due to indoor air pollution by burning the fossil fuel, particularly in rural areas of the State. He said that there were around 2,82,370 BPL families in the state and the LPG connection would certainly help them to get rid of burning fossil fuels which would also reduce extra pressure on flora and fauna. 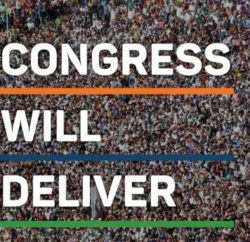 It would also help to recoil from unclean cooking fuels mostly used in the rural India with the clean and more efficient LPG (Liquefied Petroleum Gas). Union Minister of Health JP Nadda said that the Union government was dedicated to the poorest of the poor and several schemes had been launched for welfare of the poor and the needy.